Van drivers are benefiting from cuts to insurance bills as price rises slowed and fell in the past six months, new analysis from insurance market experts Consumer Intelligence shows. Average premiums are now £1,202 after prices rose 20.3% in the year to the end of January, its quarterly Van Insurance Index found. For more articles about vans click here, here and here. To see our latest van of the month, click here. But insurers have put the brakes on premium increases with the slowdown picking up in the last three months when prices dropped by 3.5%, with nearly half of the fall in the past month. The Government U-turn on the discount or Ogden rate, which sets pay-outs for major personal injury claims, has enabled insurers to reverse rises and confirmation of a rate of between 0% and 1% could mean more cuts. However, a rise in the size of claims partly driven by drivers owning more technologically advanced vans as well as fraud and increased repair costs means premiums are still rising year-on-year. Annual new van sales at 361,261 were the third highest in a decade with demand for pick-ups continuing to grow while sales of large van fell. Sales of so-called car-derived vans weighing less than 2.0 tonnes dropped by nearly 29% in January. Over-50s van drivers saw the biggest annual rises at 26.7% to an average £561 while premiums for under-25s rose the least by 13.5%. However, they pay the highest premiums at £3,561. There is now virtually no price difference for drivers choosing Carriage of Own Goods cover – suitable for those relying on their vans for work – and those choosing Social, Domestic and Pleasure cover suitable for those using vehicles as car substitutes. Average annual Carriage of Own Goods Cover rose by 20.2% in the year to £1,203 while Social, Domestic and Pleasure increased by 19.5% to £1,198. John Blevins, Consumer Intelligence pricing expert said: “The market is returning to normal now the Ogden effect is wearing off and it is possible we could see more cuts once the new rate is decided. 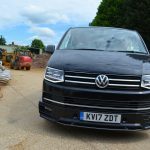 “But the other market fundamentals remain the same with the weak pound increasing the cost of repairs when parts have to be brought in from overseas, and more advanced technology in vans driving up the cost of claims. Average premiums for vans are more expensive than for cars because vans are generally more technologically advanced, and claims payouts are higher as insurance may have to cover lost business because of owners not being able to work. The price difference between “social, domestic and pleasure” and “carriage of own goods” has historically been driven by insurers rating customers who use vans for work as a better risk, as they are more likely to be careful with their vehicle. Carriage of own goods cover can also include social, domestic and personal use. Drivers opting for social, domestic and pleasure use generally have past-times or hobbies that suit having a van as either their sole vehicle or as a second vehicle.